Rev. and Mrs. Edwin Anderson are native Floridians, having been born and raised in Jacksonville and Newberry. They were married in 1970 and have two sons, four grandsons and one granddaughter. Pastor Edwin graduated from RHEMA Bible Training Center in 1980 and was ordained by the late Rev. Kenneth E. Hagin in 1985. Pastor Angela was ordained in 2001. In 1980 they founded Faith Christian Fellowship in High Springs, which later became Impact Family Church. Together they served as District Directors of RHEMA Ministerial Association International, the licensing and ordaining arm of Kenneth Hagin Ministries, from 1989 to 1994, and as Regional Directors from 1994 to 2004. A gifted teacher, Pastor Anderson expounds the Word of God with refreshing clarity and depth, and is known for his balanced approach to the Scriptures. His passion to equip believers to reach their full potential in Christ has resulted in producing a strong local church body with a bold witness for the Lord. The gifts of the Holy Spirit are in frequent manifestation as Pastor Anderson ministers by the anointing. Rev. 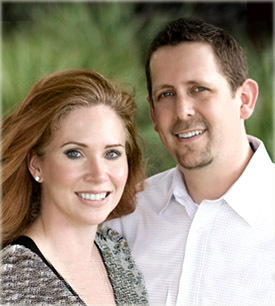 Greg and Amy Anderson joined the Impact Family Church staff in 2003 as Youth Pastors. They quickly established an exciting and growing youth ministry known as RAGE, which stands for a Real Authentic God Experience. 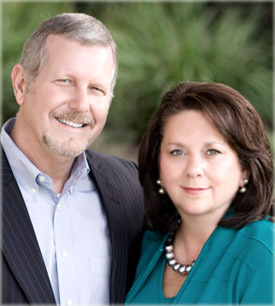 In 2005, they also became Associate Pastors of Impact Family Church. In addition, Amy serves as Childrens Director at IFC. Pastor Greg was raised in High Springs and graduated from Santa Fe High School in 1992 and Santa Fe College in 1994. Amy was raised in Pittsburgh, PA., and graduated from the University of Pittsburgh in 1994. Both graduated from RHEMA Bible Training Center, founded by Rev. Kenneth E. Hagin, in 2000. They were married in 1996 and have three children. Pastor Greg and Amy have a desire to see adults and students alike live to their fullest potential and experience God’s best in every area of their lives. Rev. Steve Morgan became the Music Minister of Impact Family Church in 2007. His heart is to lead others into the presence of God with modern, powerful praise and worship, thereby setting the stage for the Word of God to be ministered. 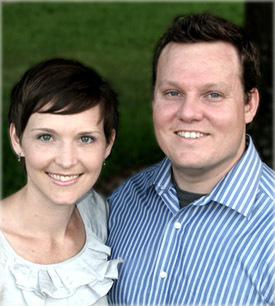 Steve and his wife, Rachel, are 2004 graduates of RHEMA Bible Training Center. Steve was raised in High Springs and graduated from Santa Fe High School in 1999. Rachel was raised in Lake City and graduated from Columbia High School in 1998. They live in High Springs with their two children.